The Bullet Club faction was formed in New Japan Pro Wrestling in 2013. The original concept was to have a group of foreign wrestlers who would dominate virtually every division New Japan had to offer. The founding members consisted of Prince Devitt, who portrays the character Finn Balor in WWE, as well as King Fale (now known as Bad luck Fale), Tama Tonga, and Karl Anderson. 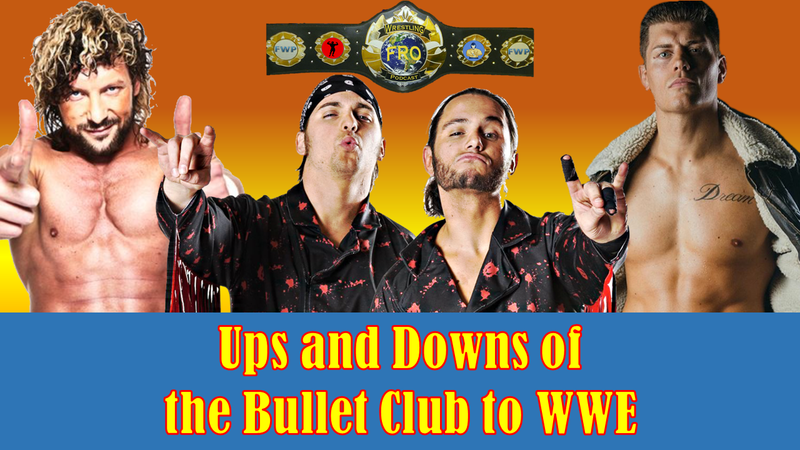 They would see immediate success and before the first year’s end would add emerging stars Nick and Matt Jackson collectively known as the Young Bucks and Luke Gallows. As time progressed, leadership would change hands from Devitt to AJ Styles and eventually the current leader, Kenny Omega. 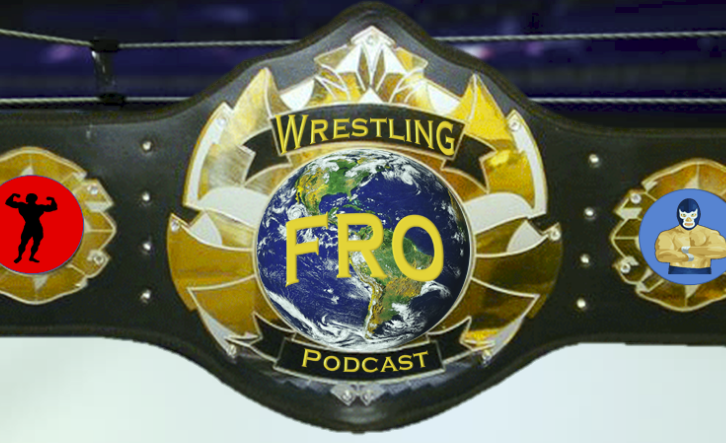 Various wrestlers would spend time representing the club including Jeff Jarrett, Cody Rhodes, Marty Skurll, Tanga Loa, Adam Cole, Cody Hall, and Frankie Kazarian. They would see unparalleled success as the only faction to captured every major championship in both New Japan Pro Wrestling and Ring of Honor. Their influence has been felt all over the globe with merchandising deals with Hot Topic and appearances at some of the world’s best independent promotions. Their popularity has allowed Cody Rhodes and the Young Bucks to promote their own show on September 1, 2018 titled ALL IN. As 2018 moves along, the Bullet Club has some tough decisions ahead. Despite putting on some of the best matches every night, there have been internal issues brewing between members that led to a split of sorts at the G1 Special. This has fostered the creation of a new faction within the Bullet Club. The BC Firing Squad was formed and turned on their Bullet Club brothers. With this division and talk of the Bullet Club falling apart, the future of the group has been called into question. It has become a topic of conversation that the split within the club may be used as a catalyst to the departure of Cody Rhodes, the Young Bucks, and Kenny Omega at year’s end as their contracts will be up for renewal and WWE has shown great interest in bringing the Elite members and Cody to WWE programming. It would be an interesting situation as the Bullet Club copyright is held by New Japan Pro Wrestling meaning that should these key members move to WWE, they would do so under a new moniker. Kenny Omega, Cody, and the Young Bucks have all expressed the notion of considering all options when their current deals run out. It will be interesting to see if they take this opportunity and run with it. Matt Jackson made it clear that he will make the best decision for his family. Kenny Omega has expressed that not going to WWE at some point would be a mistake and a big regret. His best friend in New Japan, Kota Ibushi, has limited experience with WWE as do the rest of them. Kenny was in Deep South Wrestling, a former developmental territory of WWE. The Young Bucks have made an appearance in NXT. Cody had a lengthy stint with WWE in the past but was not booked in a way that maximized his talent level. One of the biggest concerns for die hard Bullet Club fans is how they would be presented and used by WWE. WWE does not typically give their talents the freedom or the time to tell the kinds of stories that New Japan and Ring of Honor do. That has been a huge factor in the Bullet Club’s success. They have been booked in meaningful and substantial matches at virtually every appearance. Would that stay the same should they make a move to WWE? It is hard to tell. WWE is the benchmark for all success in the world of wrestling. Despite many independent talents claiming they don’t need WWE to be successful, which is true financially and match quality wise, it is also true that your level of exposure on the independent scene is much more limited and thus your impact on the profession is greatly diminished without a WWE run. What could WWE do to make it meaningful? There are so many possibilities for the Bullet Club in WWE and provided WWE creative makes the right decisions, the arrival of the Bullet Club could have a dramatic impact on the product as a whole. There are so many scenarios. WWE could easily reunite Omega and the Young Bucks with Gallows and Anderson to form an incredible faction to run roughshod over the WWE. There could be an invasion on both brands where AJ Styles, Cody, Gallows, and Anderson could invade Smackdown while Omega, the Young Bucks, and Finn Balor takeover Raw with Pay Per Views seeing cross over between all of the members. They could have rival factions between those or any combination of members and have a Bullet Club War. Who knows? There are just so many possibilities. Of course, they could debut on Raw, get beaten down in 10 minutes by “WWE Guys” and get released in a month too. In WWE you just never know. What every wrestling fan should be hoping for is that no matter where these amazing talents end up that they are used in a meaningful way. Kenny Omega has accomplished virtually everything there is to do in New Japan Pro Wrestling. He could make a more substantial impact in Ring of Honor where he has yet to win their top title. He could transition to another North American promotion like Impact Wrestling or Lucha Underground but both of those options would seem to be a lateral move if not a step down. The next logical step in the progression of his character would be a main event level run against someone like AJ Styles or Seth Rollins at WrestleMania. The Young Bucks have always had their size work against them. Fortunately, with their move to the heavyweight division in New Japan, they have demonstrated the ability to work with virtually anyone. They could bolster any tag team division instantly and are seasoned enough to put on a clinic in any company. They too have spent substantial time in Ring of Honor and could easily continue to contribute there. Unfortunately, they have pretty much done everything there is to do there as well. When you search the world over, there are few teams if any who have accomplished everything the Young Bucks have. In addition, WWE could use them on any of their brands from Raw and Smackdown to NXT or even 205 Live if the rumors of the creation of 205 Live Cruiserweight Tag Team Championships are true. Cody Rhodes is the most perplexing of the talents. He still has a lot that he could accomplish in both New Japan and Ring of Honor. He has held the Ring of Honor Championship but has not held any of their other titles and has not held any championships in New Japan at all. He has been on a streak since leaving WWE and has done well for both himself and his wife, Brandi Rhodes. He stands to make the most impact outside WWE with so much left to accomplish. He has expressed the desire to compete in a G1 climax, something he had to miss this year due to filming commitments elsewhere. His next progression could be the man to oust Kenny Omega from the Bullet Club and assume the leader role. When he was in WWE they didn’t seem to appreciate him as much as they should which led to his departure in the first place. Perhaps they would do the same again. Of course WWE may have learned from their mistakes. He is promoting the first 10,000 seat show outside WWE since the days of WCW. He does have drawing power. Promoters around the country bring in bigger gates when he is on the card. Maybe WWE will see that and push him in a way that maximizes his skill set. The general feeling among wrestling fans is that they would like to see a Bullet Club Reunion in WWE at some point. Of course there are those who vehemently hate WWE and want nothing to do with any of them going there. That is the minority percentage of the fan base. WWE could market the heck out of all of them and bring in some significant money. They could occupy several of the best matches at WrestleMania immediately. The faction could prompt a Shield Reunion for a faction vs. faction feud. They could dominate both brands’ title pictures. Can’t you see it already? AJ Styles as WWE Champion, Kenny Omega as Universal Champion, Cody as United States Champion, Gallows and Anderson as Smackdown Tag Team Champions, and the Young Bucks as Raw Tag Team Champions. The possibilities are endless.